Imogen's Typewriter. : My Christmas List! It's that time of year again. December 1st when I put up my Christmas list for your perusal. You can see my post from 2013 here! And my 2014 post here! I kept it pretty low-key this year, I'm really not feeling stuff. I think moving everything out of my room has really clued me into how much I have and I don't feel like I need much that can be bought. One thing I do need desperately though, is new gym gear. I go to the gym three times a week but I have almost no gym clothes, and my trainer is always telling me to get some. 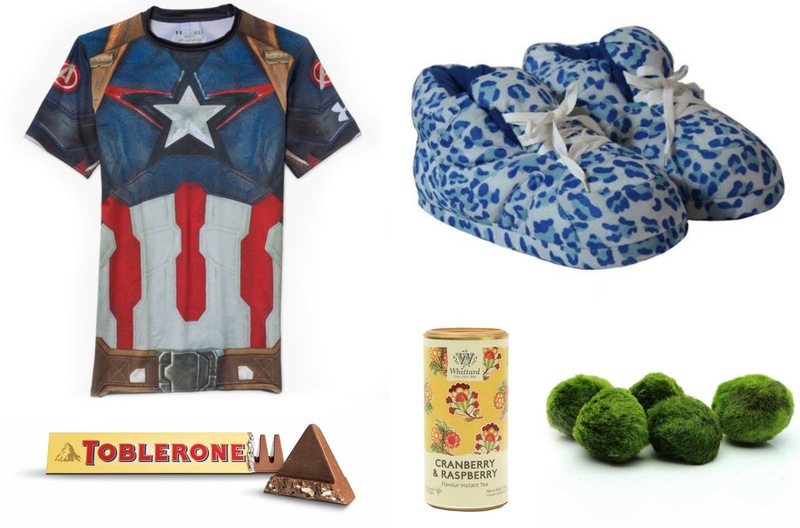 So I had a look and obviously being the massive Captain America fan, I need this compression shirt! And maybe some SHEILD yoga pants to match. Every Christmas I ask for the same things. The first being Whittards Instant Tea. Unfortunately, they've stopped making one of my favourites! Blackcurrant and Elderflower is no more. So this year I only want a tub of Cranberry and Raspberry. The second being a pair of Snooki Slippers. I have three pairs now and I adore them. I think the Blue Leopard pair needs to join the ranks. And, of course, a Toblerone. Apparently there are ones that are about a metre long. I'd eat it all. And finally I'd quite like a new pet! Kinda. 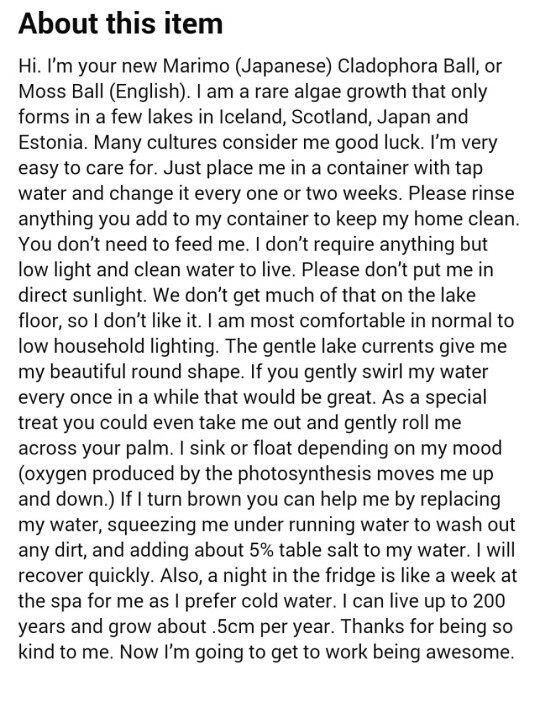 I want a Marima Moss Ball. After seeing this picture making the rounds on Tumblr I decided that I would really like one of these in my life. I love the idea of having something small that slowly grows as I do. Especially since I kill most plants, and this is low-maintenance.